Catch and release. Ordered this from Mert's site a few weeks ago. Feels fantastic, but the edge is slightly shorter than I expected. Unbelievable work from Mert. 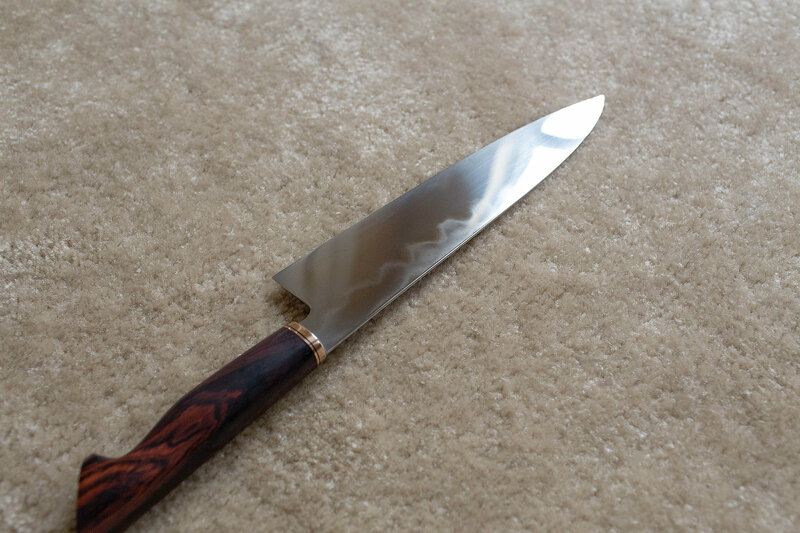 Used a couple times and removed most of what little patina there was from the blade. 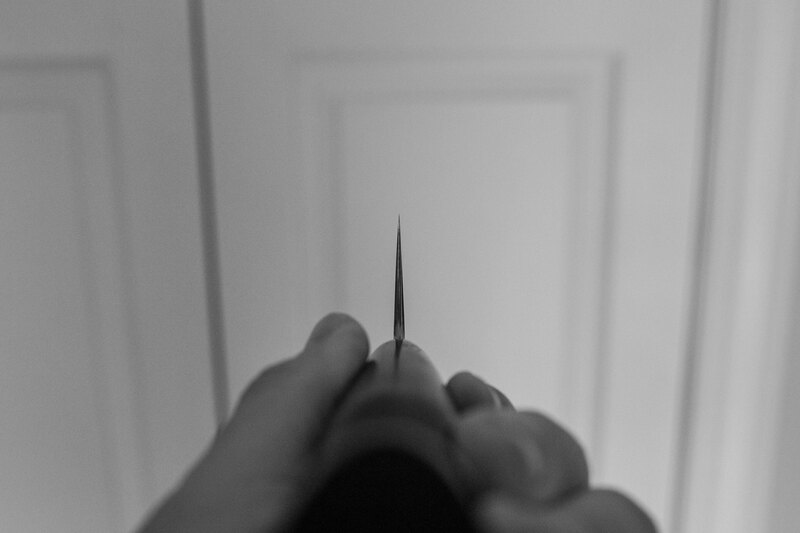 Never sharpened. Handle is Mexican kingwood. 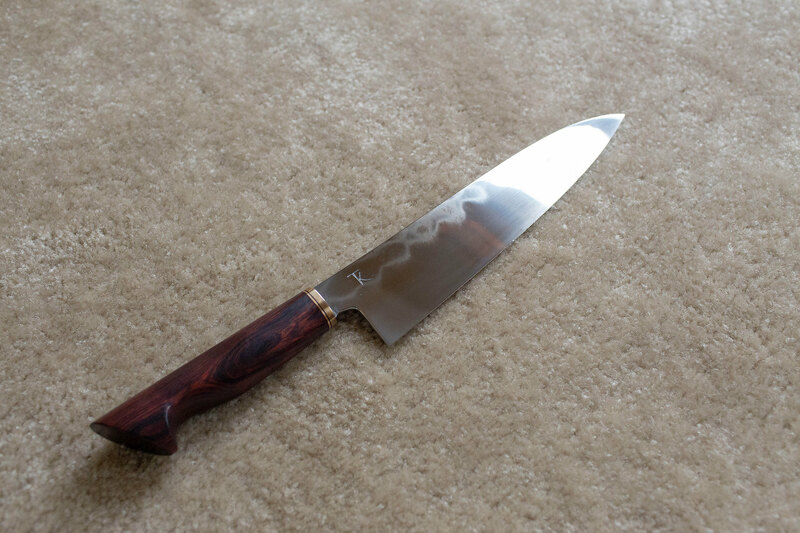 Also includes custom Indian rosewood saya. Paid $1612 after PP fees and shipping. Potential trades: Another Tansu gyuto, Xerxes (non Primus) gyuto, Toyama 240/270 honyaki gyuto, Watanabe 240/270 honyaki gyuto, Mizuno 270 honyaki gyuto. $1450 shipped to USA and PP. International buyers pay actual shipping minus $10. Last edited by ashy2classy on Mon Apr 15, 2019 11:36 am, edited 5 times in total. Is it me, or has 2019 become the year of the heavy-hitters and high-rollers? This is beautiful, Kevin. GLWS! Im not being a smart a$$. What length were you expecting? Are you referring to edge length or height being to short? Thats a sweet Tansu! I love mine, easily one of my favorite blades, GLWS. If i had the cash, id be all over this. Good question. I expected it to be a 250mm edge, but it's 245. I know 5mm is nothing, but it feels short (in length) to me when it's in my hand. I'm not crazy motivated to sell hence the firm price. I wouldn't be upset to have to keep it. 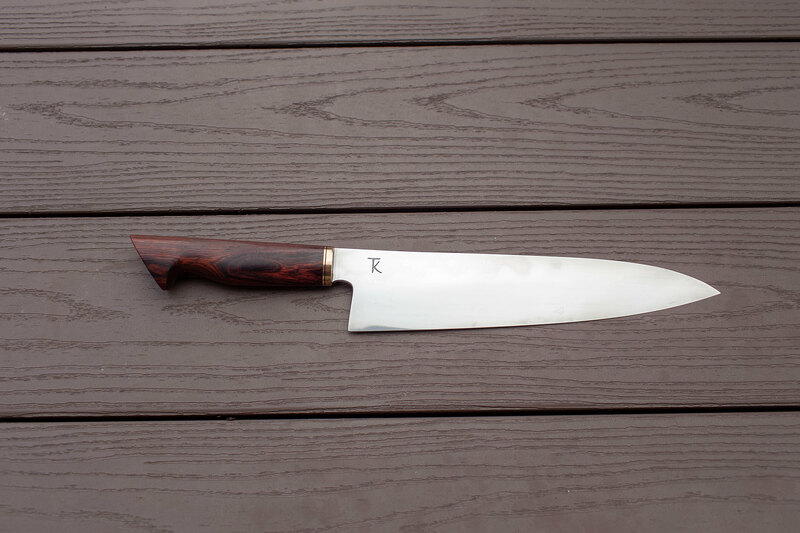 This knife is a stunner. 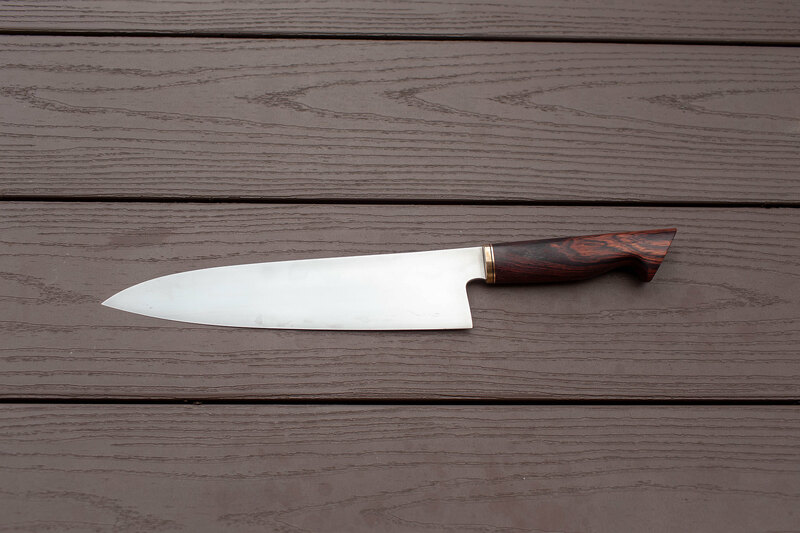 I saw this knife on his website and know what it went for, that’s a very very fair price. If I didn’t have one of his knives inbound I’d be like Cutuu and snag this! Good luck on a stunner of a blade! Man I want this puppy! One drop: $1400. If it doesn't sell by the weekend I'll keep it. Lower price option: $1350 F&F shipped for the weekend. After that I'm gonna just let the thread die on its own.